Privilege room with 1 queen-size bed. Monreale Hotels Guarulhos는 과룰류스의 중심부에 자리하고 있으며, 케이블 TV가 마련된 객실을 구비하고 있습니다. 숙소는 피트니스 짐과 건식 사우나 같은 부대시설을 보유하고 있으며, 전역에서 무료 Wi-Fi를 제공합니다. 모든 객실에는 에어컨, 미니바, 전용 욕실이 갖추어져 있습니다. 온종일 룸서비스 이용이 가능합니다. 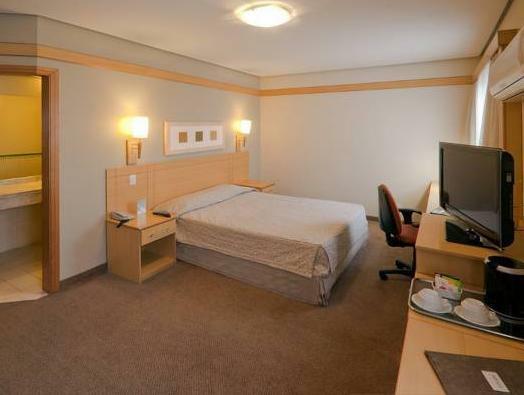 Monreale Guarulhos Hotel의 레스토랑에서 세계 각국의 요리를 즐겨 보십시오. Monreale Hotels Guarulhos 호텔에 머무는 동안 편리한 24시간 프런트 데스크 서비스를 이용해 보시기 바랍니다. 세탁 서비스도 제공됩니다. 보스키 마이아 공원은 고작 1km 떨어져 있습니다. 추가 요금으로 가능한 경우에 한하여 공항까지 셔틀을 이용하실 수 있습니다. I just spent a night. The place is close to the airport and it includes the transport. Everything works very fine. Highly recommend for traveler who needs to catch some sleep before taking the next flight. The free airport transport was a bonus to all travelers. Hop on , sit back , relax and shortly you will reach your destination with a breeze. The only downside is they don't provide free hotel transfer after midnight. Overall, a good hotel to recommend to all. 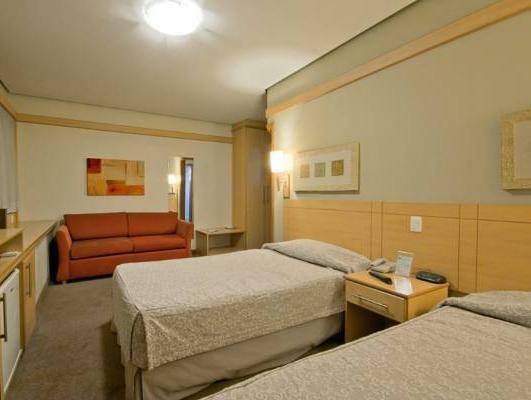 Very comfortable hotel for if you have to catch an early flight out of Sao Paulo international airport, with a free airport shuttle (to book at reception). Friendly staff welcomed us. Small room, but had everything we needed. The shower was absolutely wonderful, very easy to adjust the water temperature and lots of water from the shower head! They have a small gym, but reasonable, which we gratefully used. It is attached to a big roof terrace, which gives you a nice few over the suburb! We had dinner at the hotel because we arrived late, which was either a La carte or buffet. We went for the buffet, because a lot of the items on the menu where in the buffet, so we got to taste a little bit of everything we liked the look of. Surprisingly tasty! And they have big windows in the dining area which gives a nice few when you are eating! We had a good night rest, in a comfortable bed, only the pillows were a bit flat and too fluffy for our liking. Breakfast buffet had a great variety, everything was fresh and was tasty again. This hotel definitely deserves the 3 star rating, maybe even a 3,5! Overall we recommend it to everyone if you need to catch an early flight!! 1명의 여행객이 이 이용후기가 도움이 되었다고 평가했습니다. 고객님께도 도움이 되었나요? Overall an easy and comfy night at the hotel. Met all of our needs, wifi, good shower, good breakfast and easy airport transfers. This hotel seems to be have an identity crisis, listing as one name, my booking in another name, then the hotel itself had another name when I arrived. 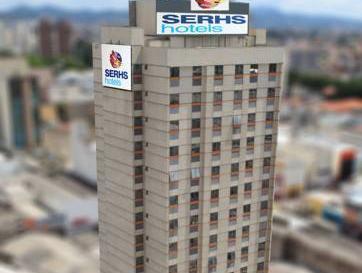 Regardless, it's a very good hotel if you need a comfortable stopover in São Paulo. They offer free WIFI and the rooms are tidy and comfortable. The neighborhood is a little sketchy but there is a little shopping street a block away if you want to venture out in the daytime. Best of all is the free airport shuttle, which was not advertised on Agoda. It runs once per hour all day long. Otherwise you're looking at a R$45, 15 minute taxi ride. 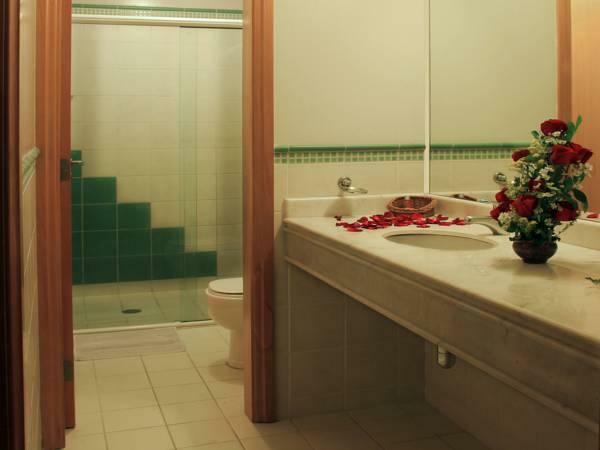 Nice price and clean facilities. near from airport and have shuttle bus, but just once a 1 hour. But i like this hotel. There ware no free rooms. Personal helped to find another hotel. Transport from airport free of charge. NO NOS LLEVARON LAS MALETAS A LA HABITACION Y NI NOS RECIBIERON. LA ATENCION DE LOS RECEPCIONISTAS UN DESASTRE!!!!!! MUY DESILUSIONADA! !